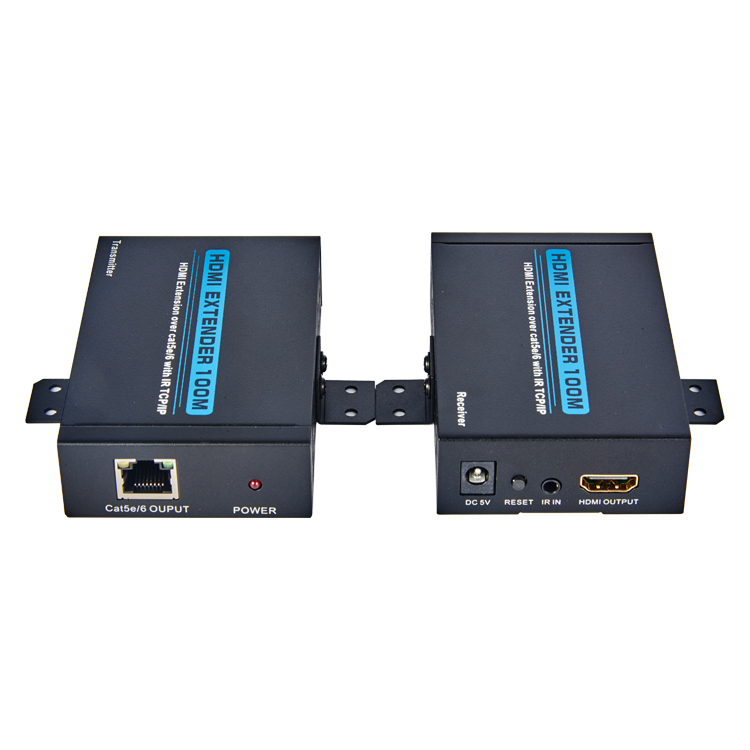 HDMI Extender 100m over lan cable with IR+TCP/IP - Buy HDMI extender 100m, HDMI extender 100m with IR, HDMI Extender 100m with TCP/IP Product on Shenzhen Zenhon Technology Co.,Ltd. 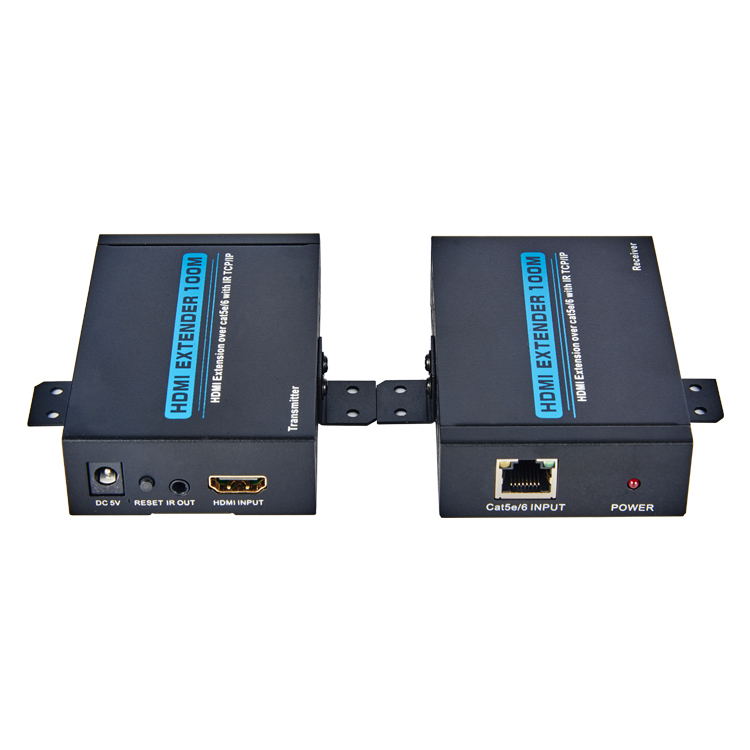 The HDMI Extender over ONE CAT5e/6 is a tool for extending your HDMI signal over long distances to a compatible display. Instead of using expensive HDMI cables, your existing CAT 5e/6 cables/sockets can be utilized to perform advanced functions like transferring Deep Color (12 bits/color) video and digital audio, with a bandwidth up to 225MHz. 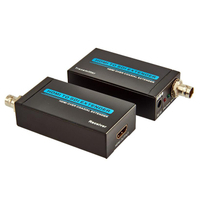 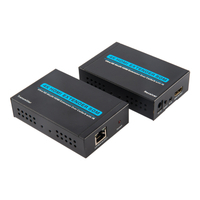 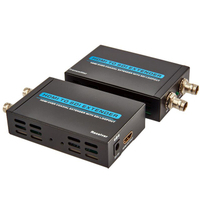 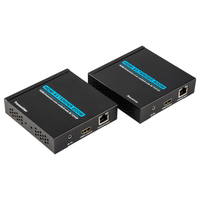 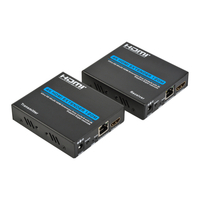 The HDMI Transmitter and Receiver, over ONE CAT 5e/6 extender is your substantial HDMI extender tool. The HDMI Extender also support IR re-transmitting, so you can control the Source which is 100 meters outside using the HDMI Extender. 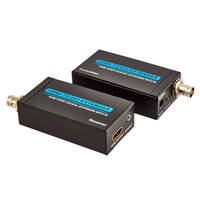 8.When transmitting a signal in 1080p resolution the CAT6 operating distance is 100 meters(max). 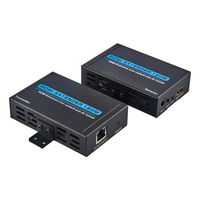 Power：Plug the 5V power supply into the unit and connect the adaptor to AC wall outlet. RESET: Factory reset button. 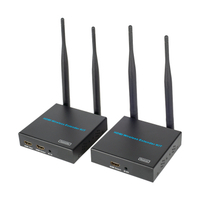 When the Receiver system functions have been changed, Pressing this button for 10 seconds can realize factory reset. CAT6 OUT: Connect the CAT 5e/6 output of the Transmitter with the CAT 5E/6 input of the HDMI over single CAT6 receiver. LED indicator: When the DC power on, the indicator will be light. Power: Plug the 5V DC power supply into the unit and connect the adaptor to AC wall outlet. RESET: Factory reset button. When the Receiver system functions have been changed, Pressing this Button for 10seconds can realize factory reset. 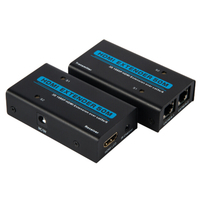 HDMI Out: HDMI output port. 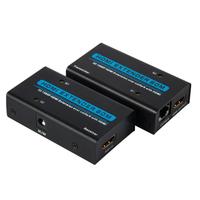 CAT6 IN: Connect the CAT6 in of the receiver with the CAT6 input of the HDMI over single CAT6 transmitter. 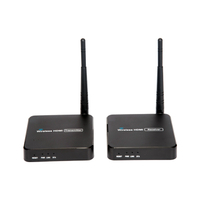 3.01 Transmitter and Receiver one by one application. 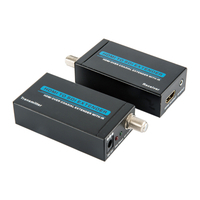 3.02 Transmitter and Receiver one by N application, N can up to 253.